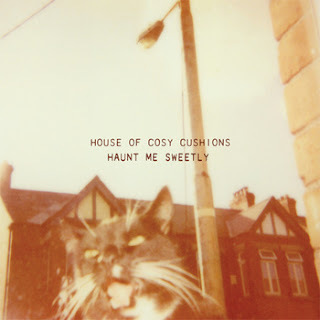 Capital-camped critters with no plans Saturday 22nd September look no further as Groningen's House of Cosy Cushions apply their own brand of audio feng shui to Dublin project space The Joinery. The musical vehicle of songwriter and visual artist Richard Bolhuis, the Dutch deliverers of atmospheric alt-rock should find the room the perfect place to exhibit compositions from their recent release Haunt Me Sweetly. If the House of Cosy Cushions name is familiar but the little click sound is yet to reverberate around the cranium, it may be because House of Cosy Cushions regularly collaborate with Waterford's experimental folk priestess Katie Kim, even sharing a record with the melodic one a few years back. Again Ms. Sullivan makes a guest appearance along with various other members of her staggeringly talented band with the entire album actually recorded on the south-east coast, in Waterford's Granny It's Ok to Experiment studios. If possible...go. Stream Haunt Me Sweetly below.